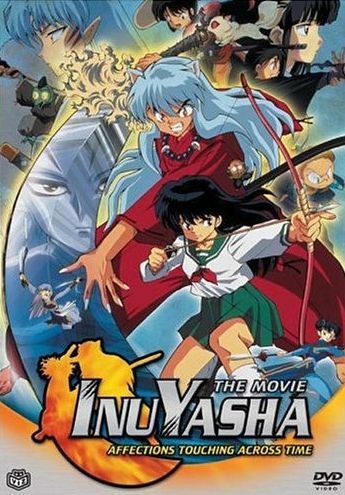 The first feature length Inuyasha flick once again throws our heroes into a battle for the Sacred Jewel shards. This time they go up against Menoumaru, the son of a Chinese demon who was sealed up by Inuyasha's father 200 years ago. Awakened by the power of the Sacred Jewel shard, he goes on a vicious campaign to dominate the world and seek revenge by attempting to absorb the remains of his father and every human soul in his path. However, as Inuyasha masters the ultimate attack of the Tetsaiga, they still find a powerful enemy in Menoumaru, and even manages to turn his own friends against him! Soon enough, Inuyasha and Kagome become separated through their own time periods, right when things are at their darkest. However, will victory come through a love that transcends time itself?